It’s fitting that the first episode of Home Movies to air after Adult Swim revived the show centers on an adaptation of Franz Kafka’s “The Metamorphosis.” Unlike poor, unfortunate Gregor Samsa, however, Home Movies didn’t awake from uneasy dreams of being mistreated and cancelled by a broadcast network to find itself transformed into a hideous manifestation of its (or its creators’) self-loathing. It’s yet to emerge from its squiggly cocoon as a fluidly animated butterfly, but “Director’s Cut” and “It Was Supposed To Be Funny” still represent a new form for the series. The laughs are bigger, the storytelling is tighter, and Dwayne is allowed to flex his full musical might through his prog-rock ode to Kafka. The first five episodes of Home Movies display what could be—this week’s double feature shows what it will be. It’s difficult not to read Loren Bouchard and Brendon Small’s previous creative difficulties into these two half-hours. In “Director’s Cut,” Brendon struggles for control over his films with an outside force—though that outside force’s idea for a movie is way better than Brendon’s Louis Louis. (With apologies to Eli Cash: Everyone knows that Louis Pasteur and Louis Braille never crossed paths while working on the inventions and processes that would eventually bear their surnames. What Louis Louis presupposes is… maybe they did?) Elsewhere in the episode, Coach McGuirk finds his own hands slipping from the steering wheel, his authority over the soccer team usurped by legitimately engaged and encouraging assistant coach Drew (future Assy McGee lead and Bob’s Burgers all-star Larry Murphy). The very title of “It Was Supposed To Be Funny,” meanwhile, sounds like the creators of Home Movies offering a postmortem to the network that axed their show. That impression is driven home by a mid-episode conversation between McGuirk and Brendon, where the coach explains the “basics” of comedy as if he’s a parody of a tone-deaf network executive. Among the many life lessons the coach will impart to his players, this lecture on the differences between “mean funny” (“like stuffing that nerdy kid in a locker”) and “nice funny” (“like maybe a little light sarcasm or a clever twist—or a knock-knock joke”) is particularly uninformed and unhelpful. But it’s almost definitely the type of note a UPN suit who didn’t understand Home Movies would hand down to Bouchard and Small. There’s a freedom to these episodes, exemplified not only by Dwayne’s rock opera—which will forever keep you from hearing the words “Franz Kafka” without simultaneously hearing the falsetto harmonies of Scäb—but also the way they dig into what Small has described in interviews as Home Movies’ “mannerism-based” comedy. Jason gets the best “nice funny” line of “It Was Supposed To Be Funny” when he relays a message from Melissa to Brendon. “She said she was upset because you made pottery out of her grandfather… pottery, like a vase or…” He of course means “mockery,” but that slip of the tongue ends up forming the entire basis of the scene between Brendon and Jason, a comedic exchange that begins on a weird flub and works with tremendous economy toward wringing all the laughs out of it. Before the joke gets old, the scene shifts to Brendon and McGuirk on the bleachers, tipping a sharper sense of editing that was honed between the UPN cancellation and the Adult Swim pickup. And yet, while Home Movies is showing an increased focus and a tendency to cut its meandering short, the series’ improvisational nature still shines through. It helps to have an ace like H. Jon Benjamin in your deck, with his an uncanny knack for finding a button (or at least providing the editors with one) whether in the guise of McGuirk or Jason. “Am I a regular?” Jason asks Brendon after the latter tells all the “regulars” to return to the basement the following day; Small’s quick “Yes” sets Benjamin up for the non sequitur spike, “Because my pants say ‘irregular.’” The ingenuity of Melissa Bardin Galsky proves to be an asset to “Director’s Cut” and “It Was Supposed To Be Funny,” too, hinting that her character is crushing on Dwayne without coming out and saying “OH MY GOSH, I LOVE DWAYNE.” In “It Was Supposed To Be funny,” she slays alongside Benjamin as Melissa attempts to spell “sophisticated” for McGuirk’s personal ad. Word to the wise: Don’t ask an 8-year-old to act as your personal copy editor. 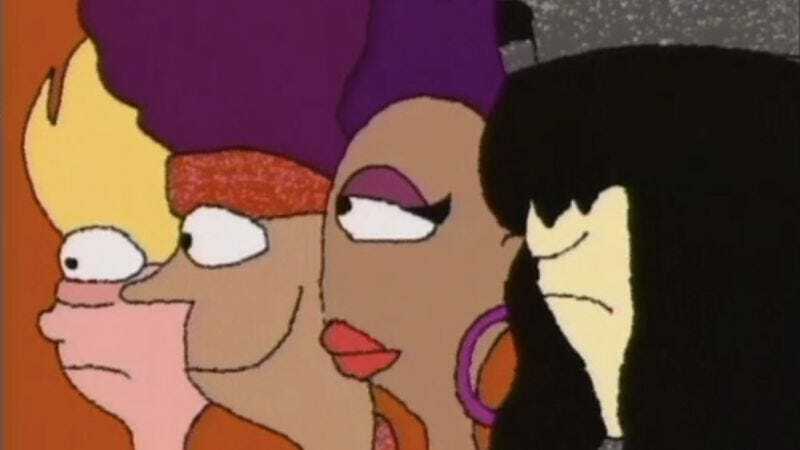 Above all, the first two episodes of Home Movies’ Adult Swim run give the sense of the show circling the wagons around its core cast. These characters need to be solidly defined before the show explores the other denizens and corners of their universe. “Director’s Cut” does an excellent job of illustrating the things that make Brendon tick to the show’s new late-night viewers; “It Was Supposed To Be Funny” establishes Melissa as the level head among the main trio of characters, without making her out to be a humorless scold. McGuirk’s dual role as father figure/bad example for Brendon receives its strongest reinforcement yet in the Drew storyline, and his willingness to help Brendon apologize to Melissa in the next episode underlines the uniqueness of the character within the primetime-animation pantheon. McGuirk’s a guy who should never be allowed near children, yet Brendon, Jason, and Melissa will ultimately learn more from the coach than any of their certified, criminal-recordless teachers. In other words, he’s the perfect fit for the late-night block of experimental programming on a cable network for kids. The metamorphosis is not complete, but it’s getting there. As an Easter egg for fans of Dr. Katz, Professional Therapist, there’s a nice, tangential scene between H. Jon Benjamin and Jonathan Katz near the end of “It Was Supposed To Be Funny.” It’s funny, indeed, to hear Benjamin take the high-status role in a relationship with a Katz character; Ben would never talk to Dr. Katz the way McGuirk talks to Eric. I forgot to mention this above, but when it comes to the voices of Paula Small, I’m Team Janine Ditullio, all the way. Paula Poundstone’s a funny lady, but Paula gets a chance to become a real character once she stops being a vessel for Poundstone’s stand-up.